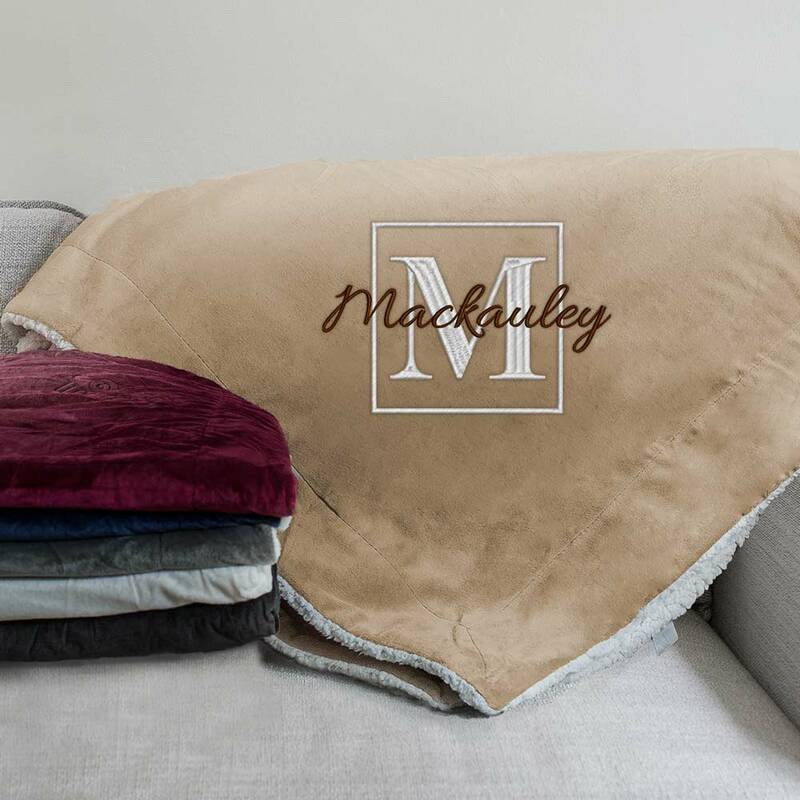 Give your home a warm and welcoming feeling when you display our Embroidered Family Name Sherpa Personalized Blankets. We will custom embroider with any family name, choice of thread color for family name, any initial and choice of initial thread color. Makes a great gift for the holidays or as a housewarming gift! Buy Customized Blankets Today! This was a bridal shower gift. It really turned out beautiful (you have some many options for blanket colors and embroidery colors). The bride loved it and kept commenting on how nice it was and how soft it was. Absolutely love it! Great gift!